Finally, you can clean your printer heads by running the automatic cleaning utility, if you’ve got one. This is usually accessed by running your printer software. If you don’t have an automatic cleaning utility, you might want power down your printer and try swabbing your printer’s important parts with a moistened cotton swab, but be sure to check the manufacturer’s specific recommendations beforehand. In the same way that you download updates on the apps of your smartphone, you want to keep your printer in shape and up to date by downloading software updates as they become available. These can improve your performance and fill any security gaps that might otherwise leave you open to security breaches and hacks. Many printers download their software updates automatically, so if this is available to you, go for it. Regular using your printer is also a good idea, as it stops printer heads from getting mucked up and keeps dust from getting in and clogging the inner workings. At the same time, don’t ask too much of the printer. Every printer has what is known as a “monthly duty cycle,” or estimate of how many sheets of paper your printer is capable of printing each month. Find out your printer’s monthly duty cycle and try and stay within that range. If you’re in the market for a new printer, you’ll want to make sure the monthly duty cycle is roughly double what you expect to print each month to ensure a long life. Keeping your cartridges fresh and in good running order will do wonders for your printer’s efficiency. Invest in good quality ink cartridges, as poor quality ones often do more harm than good. Also, avoid shaking your ink cartridges to “get the most out of them.” It doesn’t increase the supply of ink, and it may even damage the printer, as a shaken ink cartridge introduces surplus air to the printer head. Paper jams are often the result of low-grade paper, so be sure to invest in a quality ream. Also, be sure to avoid “fanning” your paper before loading it into the print tray, as this can cause static electricity to build up between the sheets. And never use paper that’s already been used. 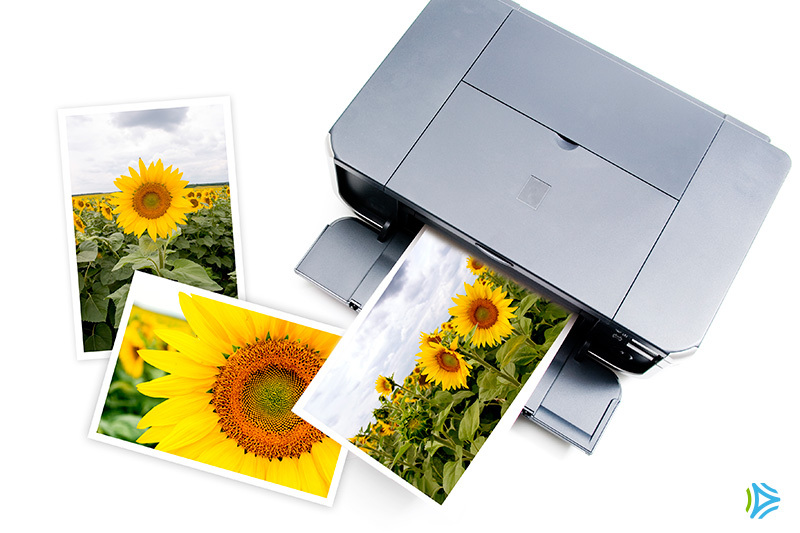 Follow these tips and you’ll be in good shape to have a long, healthy relationship with your printer! Also, visit Asurion.com to learn more about how we can assist you in getting the most out of all of your technology during the school year. Note: Asurion protection plan members may upgrade their coverage to access Tech Help benefits. Features vary by carrier. Check with your provider to see what is included.